Traditionally, Thanksgiving dinner is celebrated around a dinner table at a family member’s home. But in recent years, families have been creating their own tradition by coming together for their annual Thanksgiving meal at a restaurant or by ordering carry-out. In fact, according to the National Restaurant Association, nearly 10 percent of adults in the U.S. plan on dining out instead of staying in. With this in mind, it’s important for restaurants and bars that serve food to prepare for a rising influx of large parties looking to dine in or order out on Thanksgiving and Black Friday. While this is a good problem to have, as it helps to bring in extra money during the holidays, it can also be a burden for you restaurant clients who may have underestimated the potential rush. Here are some quick tips to pass along to clients to better serve diners this Thanksgiving. While more business is good business, it can also open the door to more liabilities. 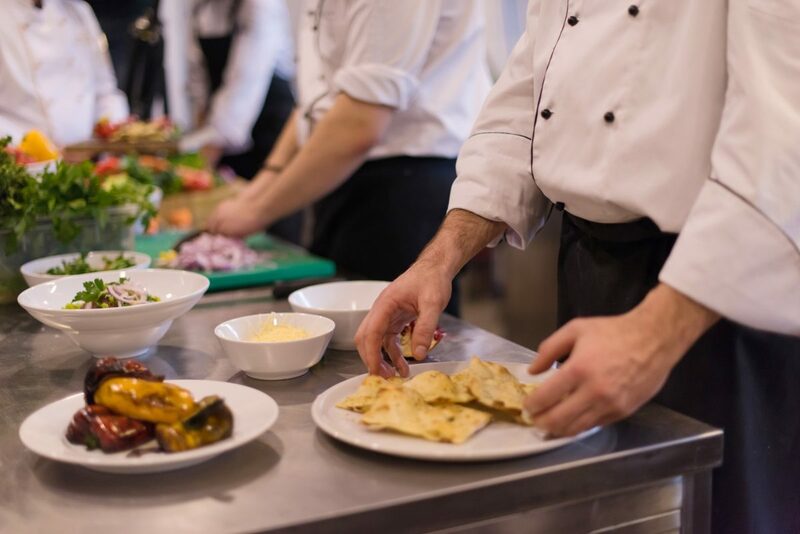 It should be in your clients’ plans to invest in hospitality insurance programs that help deal with everything from slips and falls to foodborne illnesses. Restaurant Insurance options will add peace of mind and financial support for you clients when it comes to possible legal claims that arise from a busier-than-usual Thanksgiving crowd. The fear that restaurant owners have during a rush is not having the proper amount of staff members on hand to handle a busy workload. Waiters, cooks, bussers, hostesses, etc. There needs to be the right number of hands on deck to make sure people are taken care of in a timely manner. But there is also the issue of bringing in too many people to cover a thanksgiving shift. There could be the possibility that a restaurant over-prepares with too many staffers who end up standing around and waiting. Plus, having more people than needed can crowd things while also lowering productivity. If they’re anticipating more take-out or delivery orders compared to in-house diners, suggest that they shift their staffing to focus on those areas. Thanksgiving is the gateway holiday to finish the current year strong and meet or exceed sales goals. Restaurants should try to outline some Thanksgiving-weekend-only offers that can give them a big push of diners. Free appetizers, small discounts on parties of 8 or more, for instance, or promote limited time deals through social media channels are all great ideas that can be pursued. Also, people who are getting their shopping done on Black Friday will have to refuel, and more often than not will be on their phones looking for a place to rest and eat well. This is the perfect opportunity for restaurants to send out time sensitive offers to entice shoppers to come in. Restaurants have every reason to assume that large parties will be heading their way for Thanksgiving and Black Friday meals. But they can also consider offering up sections of their establishment for holiday gatherings or catered parties. Restaurants can promote their catering packages or create them especially for the holiday season, helping to take the stress out of preparing large holiday meals. This helps to provide a place to come together as well as the opportunity to maximize family time, be served, and not worry about cleaning up afterwards.